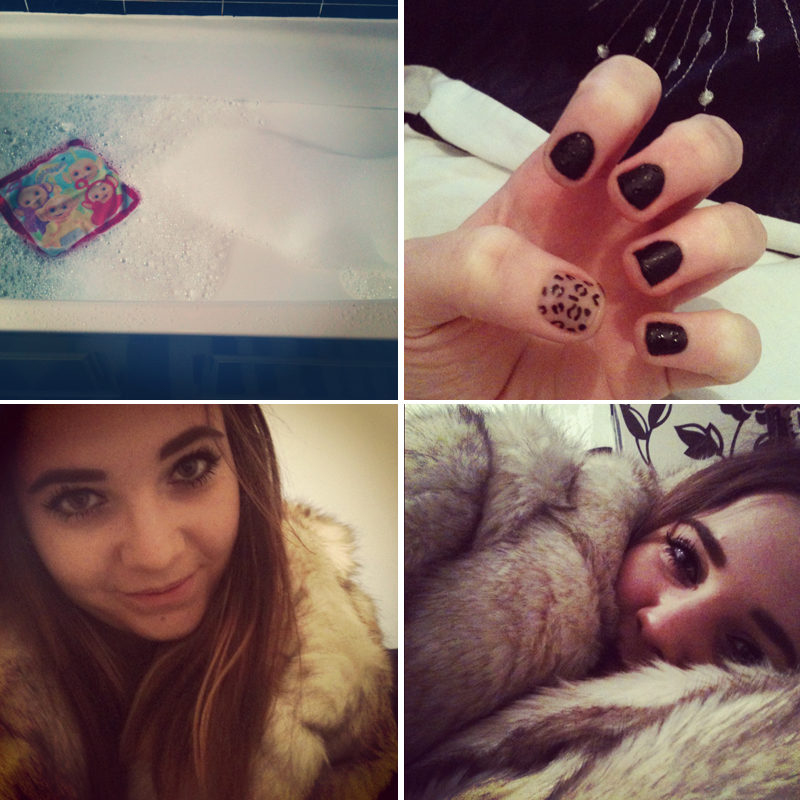 bubble bath with a teletubbie flannel (never too old) · matte leopard nails · new fur coat ~poses · soppy texts · morning alarms · functional skills lesson: writing a love letter formally (impossible but funny!) 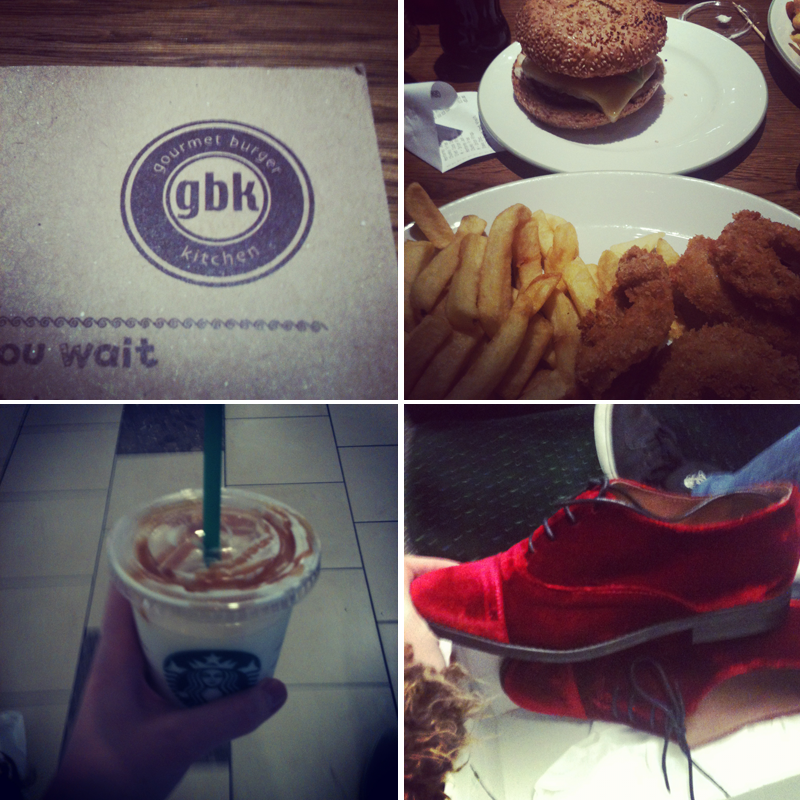 · college think ASHLLYD is offensive and tasteless · GBK visit yesterday with Todd · starbucks mm · found the shoes i've wanted for ages in the topshop sale! 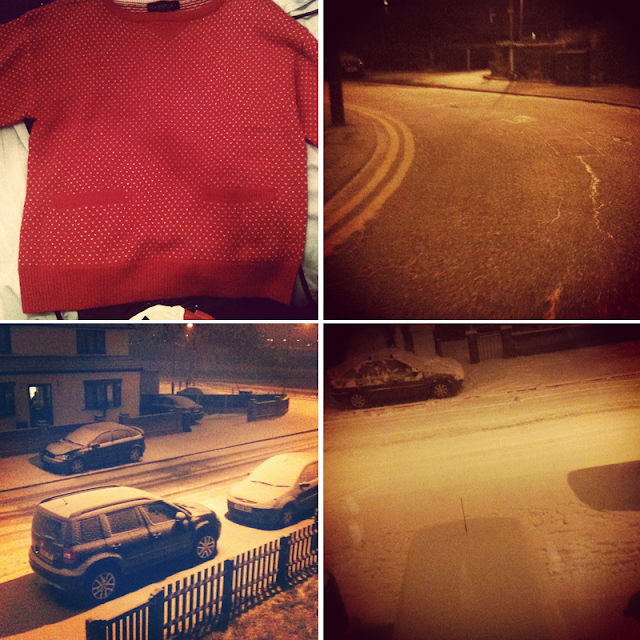 · cute jumper i also found in the sale · snow starting last night (04/02) · more snow · even more snow! This week has been pretty bland. It seems to have got really cold in London this week, so I'm glad I bought that fur coat! The snow, as predicted, started last night as I was walking home after a satisfying meal at GBK with Todd. Nothing exciting has happened so there's not much to type about! However, I did find the shoes that I posted about in a wishlist a few months ago in the Topshop sale! Reduced from £58 to £25 so obviously I had to have them. They also had them in blue so if you're looking for them, it's worth checking out your local TS! I haven't been shopping in well over a month so I still have lots of birthday money to spend! I ordered some more ~disco pants the other night in red, so I'm looking forward to getting them! I also bit the bullet and finally ordered some creepers! Was torn between bright pink and plain old black but I gathered I would wear black more (goth) so ordered them! Hope everyone's having a fab weekend and wrapping up warm. I reckon there's more snow to come! This pictures are dead cute!! I want those shoes soooo bad! 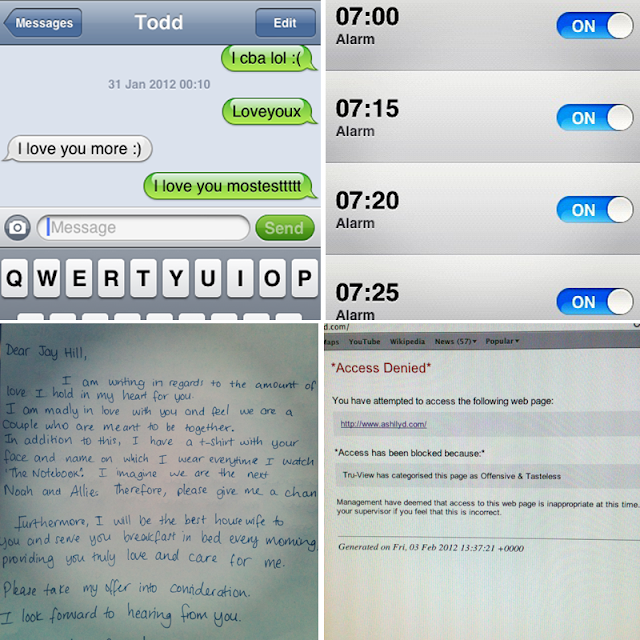 You look adorably gorgeous in the 4th picture. super snug! AND YOU MAKE ME WANT A STARBUCKS AND BURGER NOW! The day I went to the IT department at my school to explain why http://www.rachelphipps.com/ should be unblocked was one of the funniest of my school days! im secretly praying for my snow because i need a day off school - so behind on everything! jealous of the fur coat..